I'm baaaaack! I firmly believe that I have loved doing my recap posts so much, I have stretched them out for as long as I possibly can. No seriously. 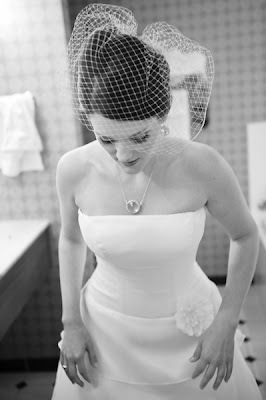 My time on Weddingbee is rapidly winding down, as I think I've shown you almost everything there is to be shown. But, I just had to show you some live action from our reception. We didn't opt to hire a videographer, but we had many friends who used their digital cameras to take footage of the day. As I watch these video snippets, as low quality as they are, sometimes it makes me wish that we had shelled out the extra bucks for some professional video. On the other hand, I wouldn't change a thing. Some of these clips captured the most random moments of the day and off-beat snippets of conversation that I doubt a professional would have captured/kept. Beyond the special dances and other details that I won't bore you with, here are some highlights from the day. Thank you, Black Eyed Peas, for giving us the perfect song to start off the dance party at our reception. It truly was a great night, thankyouverymuch. We were introduced to Greg through our good friends when we were on the hunt for a condo. Turns out, Greg isn't just a real estate broker extraordinaire, but he is an amazing freestyler (freestylist?)! We were so excited to have him grab the mic toward the end of the night and give a little performance...I apologize that the quality of the video isn't 100%, but you get the idea. Next up - a fond farewell, my Wedding Bee friends! Hi everyone...umm, remember me? I know, I know, it has been far too long since I've shown my face around here. I've been seriously dragging my feet finishing up ye olde recaps. But, in case your memory has completely been wiped of my existence - I'll give you the down and dirty highlights. I had some rockin' hair and make up. My husband got himself into some sticky situations before the wedding. We had so much fun taking pictures around Oak Park. I (umm, I mean, we) had a fabulous, fabulous cake. Ok, so now that you're caught up and can kind of remember my Bee existence, let's dive back into the recaps! 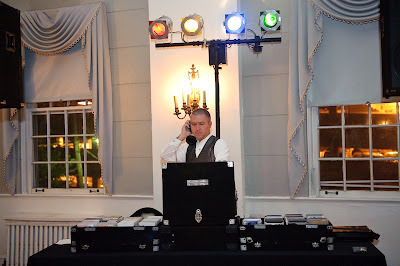 Figuring out what DJ to hire was something that, quite honestly, I just didn't want to deal with. I had no clue how to choose a DJ or what to look for. 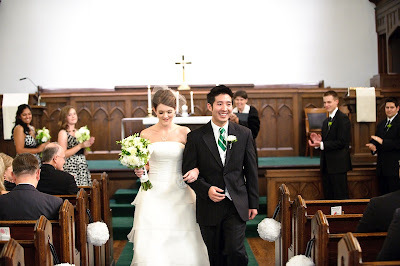 And then, we thought about our friends' wedding in St. Louis about a year before ours. Everyone danced. The DJ did his thing, wasn't cheesey, played great music. We heard through our friends that he was also interested in breaking into the Chicago market. That sealed the deal. 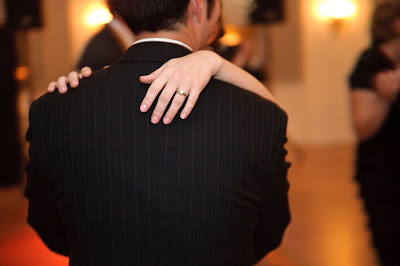 So, we contacted Jeremy Roeder of First Class Weddings and he was available for our date. Score! We booked him immediately. Jeremy was really great to work with leading up to the wedding and open to whatever we wanted played. We ended up just making a master list of all of the songs that we would want played rather than giving a "yes" and "no" list. For during dinner, we made a CD for Jeremy to play because there were a lot of random songs that were meaningful to us but weren't really danceable. 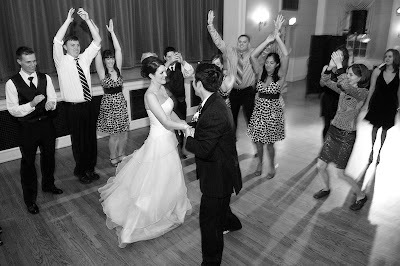 All of our friends danced for the entire reception and there wasn't a single song played that I didn't love. Jeremy doesn't have a cheesey bone in his body. He's so professional and well spoken. Amazing! 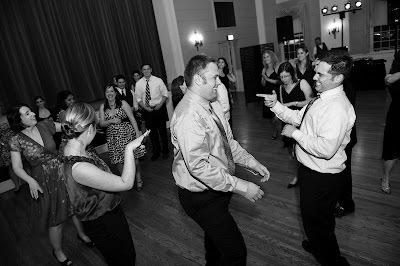 And, in case you need more proof of Jeremy's fantastic-ness, coming up next are some dancin' videos from the reception. As I've been traveling through my wedding day recaps, they wouldn't be complete without sharing about who made these recaps possible. The one, the only, the fabulous Laurie Peacock of Laurie Peacock Photography! See this scrumptiousness that Laurie created?! Mr. S, a photographer himself, is 100% credited with finding Laurie. We met with her and immediately booked Laurie well over a year before our wedding and never for one second doubted our decision. Laurie has a very photojournalistic style, a great eye for detail and composition, and a fantastic, bubble personality to boot! She's so upbeat and fun to be around but still incredibly professional. 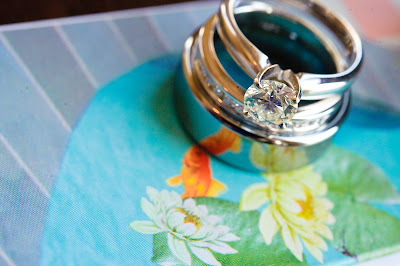 I was completely put at ease the morning of the wedding when Laurie arrived at the hotel - I had my shoes, jewelry and rings all lined up and ready for Laurie to start shooting the details! We were also lucky to have a second photographer for the day - Maggie Rife. Maggie was so much fun to be around, is a wonderful photographer and managed to catch far too much mischief with the guys in the morning! It's a sad day when I have to say that my recap posts are quickly winding down! But, it's a fabulous day because I'm sharing a lot of the little detail shots that didn't end up in the other posts, yet are oh-so-spectacular. Even though I experienced massive dress envy along the way, I still can't help but love the floaty, dreamy feel of my dress. 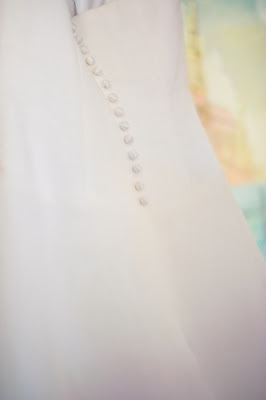 After asking for no beading, no lace but some sort of detail and all for under $1,000, I really lucked out. Swoon. 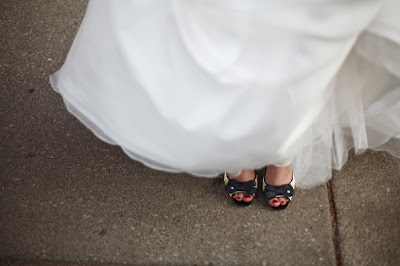 I'm a sucker for shoe shots, and I simply adore this one. 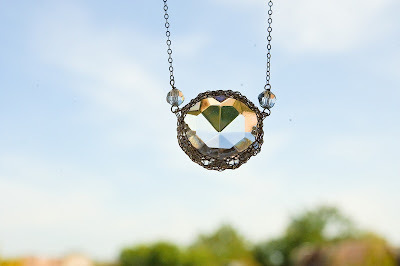 Another glamor shot of my wonder necklace. I love how it makes a heart! 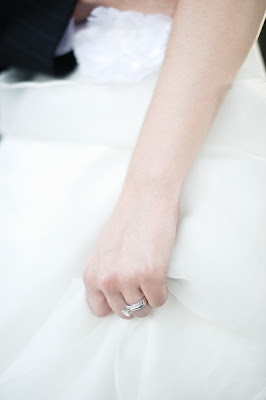 And, what's a wedding day without the obligatory ring shot? 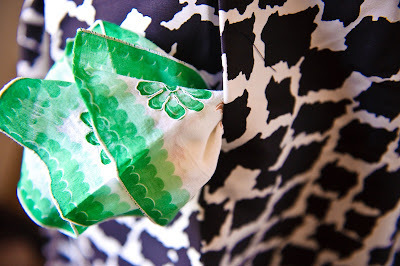 Remember the vintage handkerchiefs I bought for my girls? They worked perfectly since their dresses had pockets! 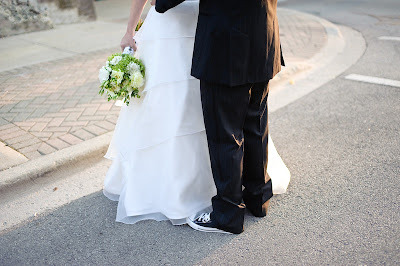 If I can have shoe shots, so can Mr. S. We debated buying Chucks for all of the groomsmen, but ended up just having a pair for Mr. S. He wore black dress shoes for the ceremony and quickly traded them in for his Chucks. I debated so long and hard about our flowers! In fact, I posted about it here, here, here and here. Whew, that's a lot of flower talk. And probably not all of it...I'm embarrassed to say that I think there might a few more posts out there. Anyway, in the end we stuck with our green and white scheme for the flowers, featuring hydrangeas and dahlias. Each of the bridesmaids carried one of these babies down the aisle. 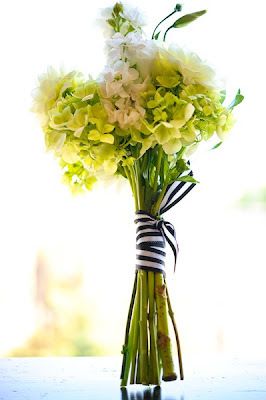 Simple and (hopefully) a little chic with the black and white ribbon loosely tied. My bouquet was a larger version. 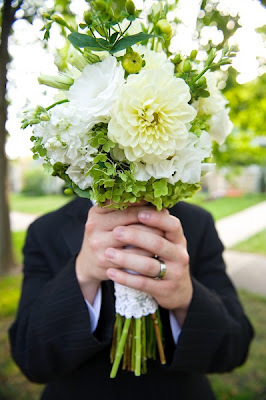 When I'd originally met with my florist, we had discussed using all white flowers for my bouquet to keep it different than the rest. 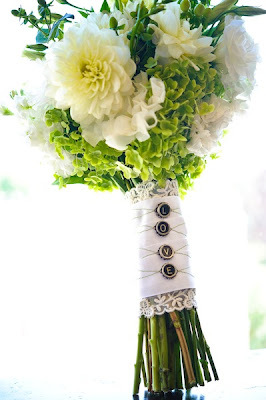 So, imagine my surprise when my green and white bouquet arrived! I was a little frustrated at first, but sucked it up. However, I absolutely love that mine featured green as well. It's MUCH more visually interesting in all of the pictures, and I love it! Hmm, does that stem look somewhat familiar? Let's take a closer look. Why, it's my Mrs. Lovebug-inspired stem! Remember hers? 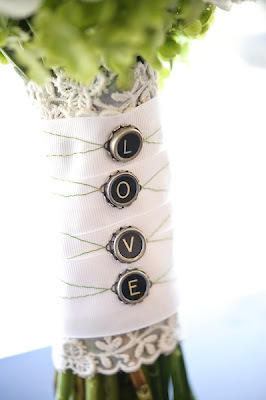 Mrs. Lovebug was my first introduction into Weddingbee, and I simply had to have L-O-V-E on my bouquet, so I picked up the typewriter keys off of Etsy waaaaay before I decided on anything else. We gave the florist a piece of lace off of my mom's wedding dress and had her wrap it around the stem as well. I loved these little details! 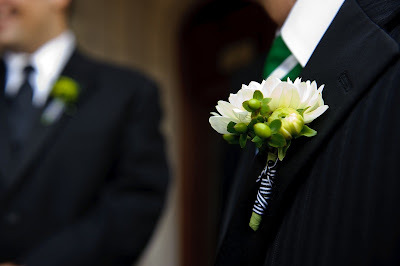 Mr. S rocked a pretty great bouttonniere with some sort of white mum-flower-thing with some green accents, and all the rest of the guys had little pops of green kermit mums. 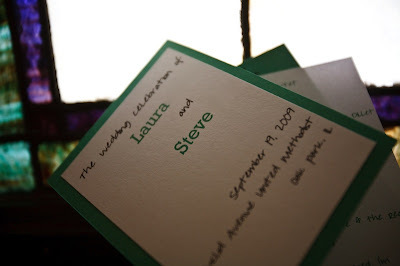 I worked on our programs up until two days before the wedding. Remember my program inspiration? Unfortunately I think these ended up looking better in pictures than they did in person, considering I printed them on our home printer and cut them with my little $10 Cricut paper cutter. When I posted about our guest book plans, I was still doubting it all. Polaroid cameras and film are crazy expensive. That factor combined with concerns over a lot of our guests not even participating in the fun had me stressed. But, it was SO MUCH FUN! 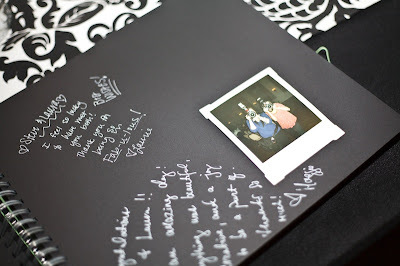 Even though some guests never made it over to sign the book (which I'm sure happens at most weddings - I know I've been a guilty guest and not signed! ), we still ended up with pictures of everyone. And, toward the end the night I took one of the cameras out on the dance floor and we took a ton of great dancing shots! All of the pictures of our guests were so great, including that of our fabulous photographers, Laurie and Maggie. Seeing them posed there with their cameras is just the cutest thing, and you know you've got some great vendors when they take the time to sign the book!